This is the second in a series of columns by Joe Bishop* bringing a different perspective on KiwiSaver. "Responsible investing" isn't at all if fund managers are lazy or just jumping on the bandwagon. I sometimes cringe when companies, fund managers and commentators talk about "responsible investing". It's not because I don't believe in the sentiment or the practice – I do, fervently. But there's a lot of lip service paid to this and a lot of lazy managing of other people's money. It's a bit like greenwashing, when companies lead consumers to think they are doing more for the environment than they actually are—a frequent complaint of some stakeholders. Buzzwords like "eco" and "organic" are often flung about. It's good for marketing purposes. So is some of the rhetoric aimed at "responsible investing". It is, however, an important factor, as a survey we took of more than 7000 of our Kiwi Wealth KiwiSaver Scheme showed. An overwhelming 93 per cent expected their KiwiSaver funds to be invested responsibly. Over half said their choice of KiwiSaver provider was influenced more by responsible investment considerations than maximising financial returns. That's a big shift in public opinion and you can see why so many companies and managers have jumped on the "responsible investment" bandwagon. What they really mean is: exclusion. It's the main way many fund managers reacted to the focus on responsible investing – or lack of it – by some KiwiSaver providers last year. A responsible investment strategy which excludes entire sectors from a portfolio is lazy. It can't bring about specific, positive change in company behaviour. It limits the ability to achieve the responsible investing and financial outcomes of KiwiSaver members. Clearly, in some cases, zero-tolerance exclusions are appropriate, particularly in highly destructive sectors like tobacco and controversial weapons. Kiwi Wealth's responsible investment philosophy means we have no investments in tobacco or in controversial weapons companies, directly or indirectly. But we go a lot further than that – we exclude companies based on what they produce, their behaviour and impact on people and the environment, not just because they are in a sector which has attracted some controversy. It's a far more analytical and careful approach. As our survey demonstrated, KiwiSaver members want fund managers to consistently demand that the companies they invest in behave more responsibly. That can only be achieved by active management of investment portfolios and working with customers to establish financial and responsible investment goals. Simply excluding entire sectors is a blunt instrument; it's like throwing out your entire wardrobe because one or two pieces of clothing are moth-eaten. It's an approach that can actually work against investors and means managers may actually be neglecting their fiduciary duty to act in investors' best interests. Even worse, it doesn't necessarily effect any real or positive change in the behaviour of companies within excluded sectors. It's not even an effective way of ensuring investors aren't misled. I know of several companies with poor records in environmental or human rights who are still in many passive index tracking funds. I won't name names but there's one company with human rights issues in operating surveillance systems between Israel and the West Bank. In Papua New Guinea, another company has been accused of environmental damage and human rights abuses at its gold mine; two nuclear power companies have also had environmental and human rights issues. The answer is to actively look at companies individually and monitor their ESG (environmental, social and governance) credentials. Then it's possible to work with the company concerned to make changes to the way they operate. That's why our New Zealand-based investment management team has control over which sectors, industries and companies our investment funds are invested in; what is or isn't invested in is in our control. It's also why Kiwi Wealth helps to influence companies we don't exclude. In 2017 Kiwi Wealth signed up with Institutional Shareholder Services (ISS), who advise investors how they should vote at annual company meetings depending on their responsible investment approach. Because major issues often come up for voting at these meetings, this means Kiwi Wealth investors are voting for positive action on things like climate change, governance standards and shareholder rights. It means we have a strong voice and can lead change by combining voting power with other like-minded, global shareholders to influence behaviour in even the largest multinationals. The case of Neste is one example of a fossil fuel brand successfully demonstrating its move into green tech. Morgan Stanley Capital International said Neste "maintains its position as a leader in the production of renewable fuels, particularly renewable diesel/low-carbon biofuel. "Management of ESG risks at Neste remains strong, underpinned by aggressive targets for reductions in carbon emissions, toxics, and health and safety incidents. Despite the risks associated with a controlling state shareholder, Neste's corporate governance remains industry-leading." That's how to make a difference and other companies Kiwi Wealth invests in after the latest ESG upgrades include Harley Davidson, CSX, Mitsubishi Corp and Wolters Kluwer. *Joe Bishop is General Manager of Customer, Product & Innovation for wealth & investment organisation Kiwi Wealth. 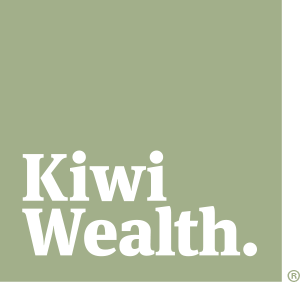 Kiwis sitting on a "gold mine"
A New Zealand owned and operated investment business, Kiwi Wealth helps Kiwis plan and invest for their futures.